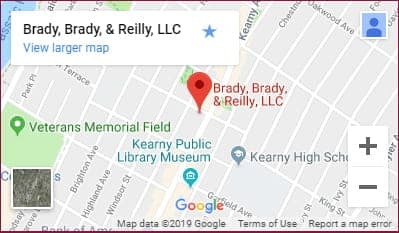 For almost thirty-five years Kathleen M. Reilly has been handling serious personal injury claims in the courts of New Jersey. Her successes include a $6 million verdict in a construction accident case, a $1.2 million settlement in an automobile accident case and a $1.2 million verdict in an accident involving a bicycle and a limousine. Ms. Reilly is a member of the Million Dollar Advocates Forum and has been certified by the Supreme Court of New Jersey as a Certified Civil Trial Attorney. Kathleen Reilly is a graduate of Rosemont College in Rosemont, Pennsylvania with a Bachelor of Science Degree in Political Science. She received her Juris Doctor from Seton Hall University School of Law in 1982. She began her legal career as an associate at the Budd Larner Law Firm in Short Hills, NJ where she worked on the Agent Orange litigation and represented various manufacturers in product liability defense matters as well as representing both plaintiff and defendants in medical malpractice litigation. Ms. Reilly has been in private practice in Hudson County since 1990 representing plaintiffs in a variety of different types of litigation, specializing in Personal Injury.She is the Second Vice President of the New Jersey Association for Justice, a past President of the West Hudson Bar Association, is a member of the American Association for Justice, the American Association for Justice Top 100 Trial Lawyers and the Hudson County Bar Association. Super Lawyers is part of Thomson Reuters.